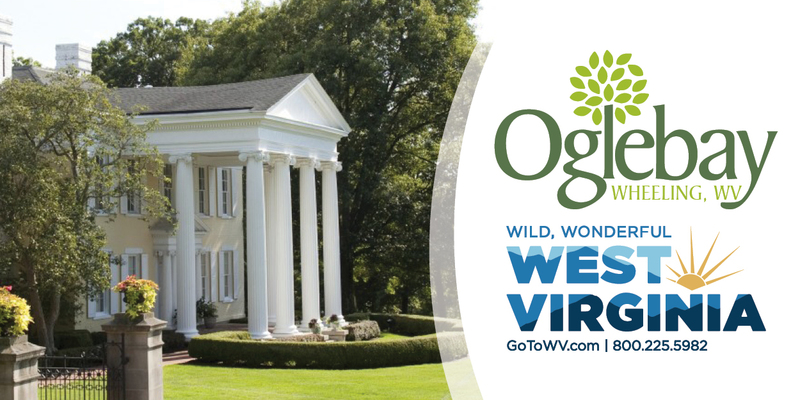 One housed a mega-popular retail store and the other was so industrial a train traveled through it when necessary, and what took place in both buildings many years ago helped sustain the people of the Upper Ohio Valley for many, many years. 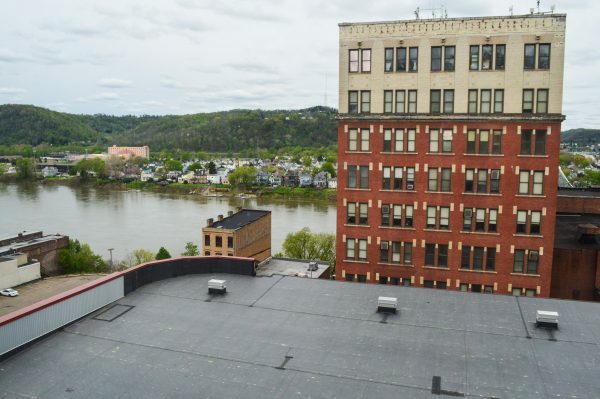 Each structure, though, fell silent for extended periods of time, but because of a $15 million investment by the Woda Group of Columbus, the location soon will house more than 100 residents in Wheeling’s downtown district. 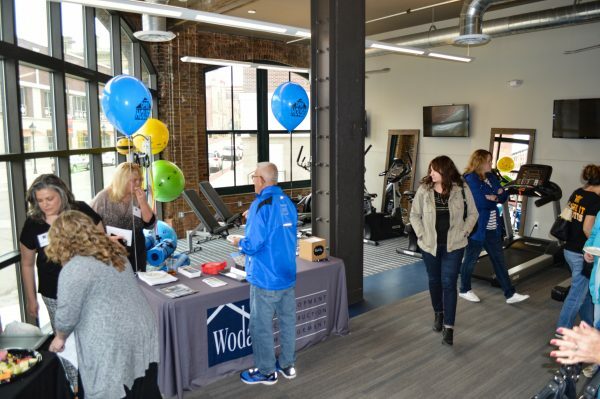 The Woda Group staged two tours in downtown Wheeling yesterday to allow local residents to see the insides of two recent housing projects. The firm was founded by Jeff Woda, who was raised in Wheeling before graduating from Bethany College in 1987. 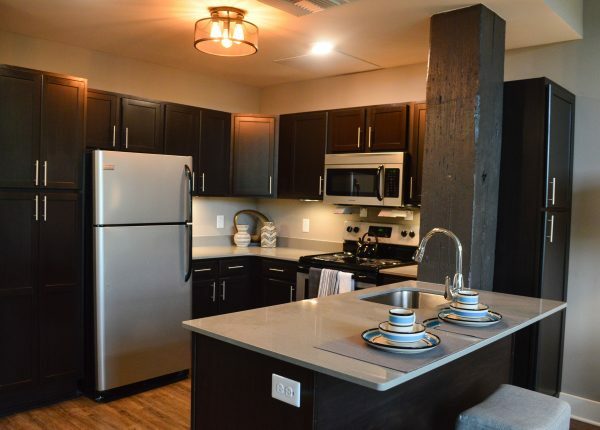 A total of 22 one- and two-bedroom units were completed inside the Stone Center more than a year ago, and at least 70 similar-sized apartments soon will be occupied inside the Boury Lofts at the corner of 16th and Main streets. 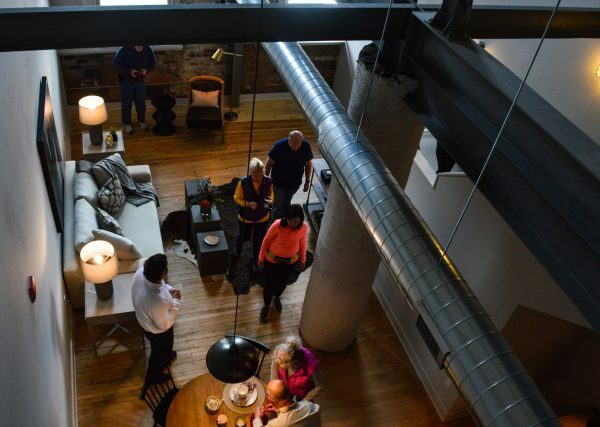 The “penthouse” apartment in the Boury Lofts features this perspective. 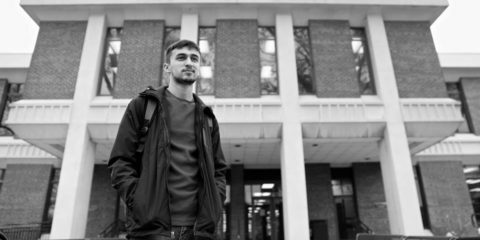 According to Woda representatives, the unit has been leased already. It’s never been empty, but it had been inactive for so long that when local residents took a look at the structure’s ugly green fiberglass window coverings and the obviously aging water tower atop the abbreviated seventh floor, they only wondered what was inside and when that tank finally would descend to its death. Wheeling historian Jeanne Finstein discovered the property was once known as the Hubbard Saw Mill Property, and she found records indicating that the Baer Sons Grocery Company owned the building beginning in 1892. Following a few more deed transfers, Boury Inc. bought the building in 1976 for storage, yes, but the company also set up its booth manufacturing division for Elby’s Family Restaurants. 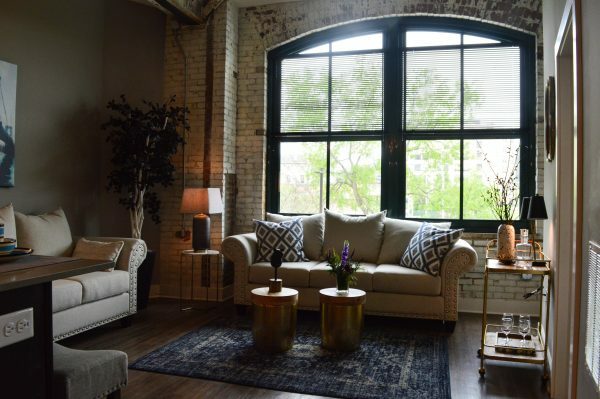 Once the Boury businesses were sold or closed down, a member of the next generation came to own this downtown warehouse property. 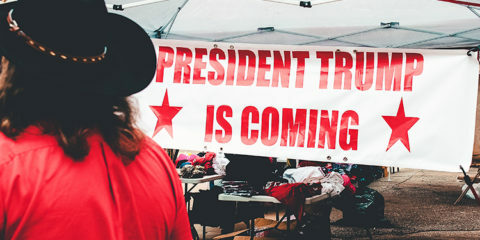 T.J. Radevski, who married Michael Boury’s daughter, Bonnie, was in control from 1995 until their 404 Partners, LLC sold the structure to the Woda Group in late 2015. And yes, these 86,000 square feet, once cluttered with cardboard boxes, old window frames, partial seating booths, and a mess of spare plumbing parts, are expected to fit in 73 industrial loft-style apartments that will be both one- and two-bedroom units. 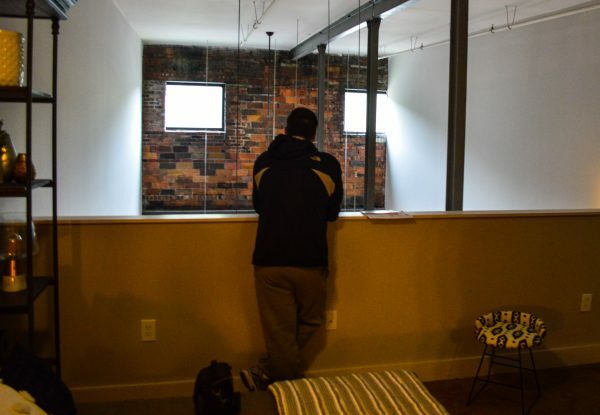 Woda representatives explained months ago, the one-bedroom version would feature at least 700 square feet and the larger units would reach about 1,100. The interior is modern and warm but also rustic and revealing of the materials used build it more than a century ago. The Woda Group had plenty of representatives for the tours at each location. 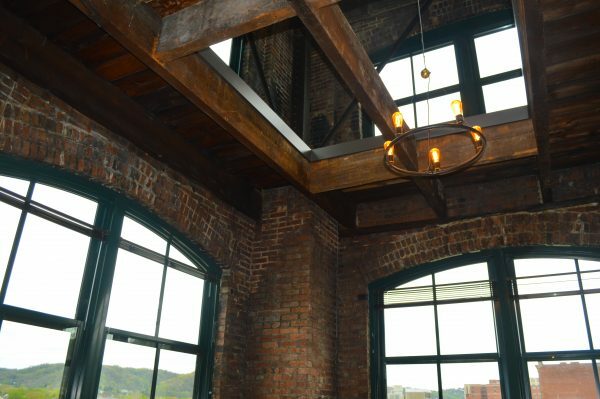 The members of the Wheeling Nailers will live inside the Boury Lofts during each hockey season. 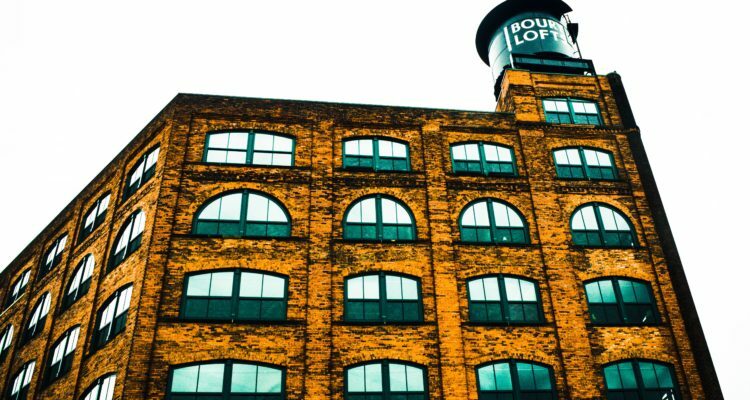 Residents of the Boury Lofts will have the chance to save on the electric bill because of the opportunity for a lot of natural light. The bedrooms inside the Boury Loft units are not huge but do offer attractive views of the area. 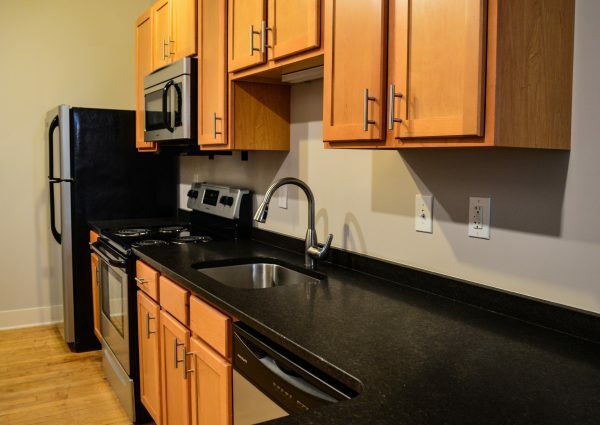 Plenty of cabinets and all the necessary appliances are included in each Boury Lofts unit. 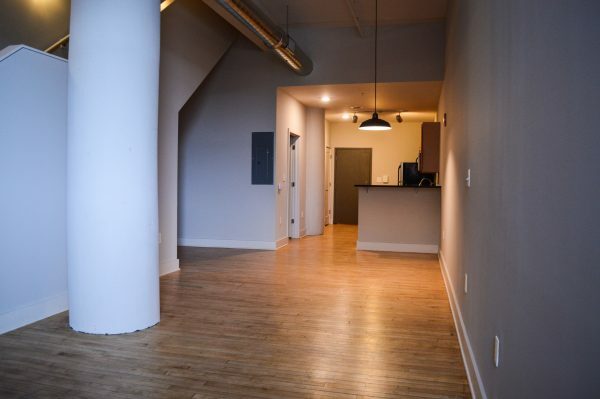 The exposed brick and exposed wood floor supports are highlights of the apartments in the Boury Lofts. 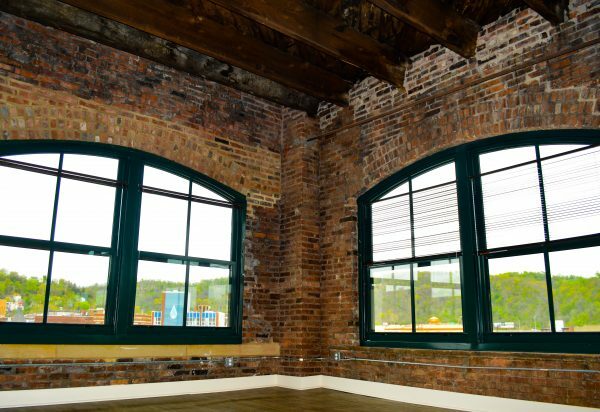 Instead of drywall, the Woda Group allowed for the exposed-brick look inside the Stone Center loft apartments. Of course, that changed once an expansion took place a few years later, and before the company was sold to Elder Beerman in 1998, Stone & Thomas operated 19 locations in three different states. The eight-story store featured both escalators and elevators. Customers could find anything from perfume to pajamas, but what provokes the most memories was the Tea Room. It was a special eatery, much different than the counter at G.C. Murphy’s or the salad bar at Elby’s, and children even behaved there. 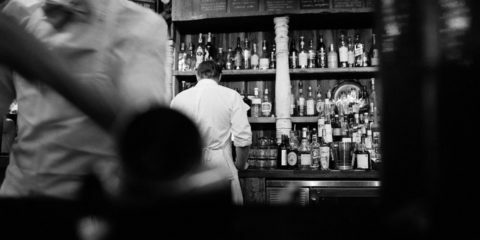 The soup du jour usually was the best in the city, the lunch-only menu was small but never disappointing, and many of the ladies made a career by working there. 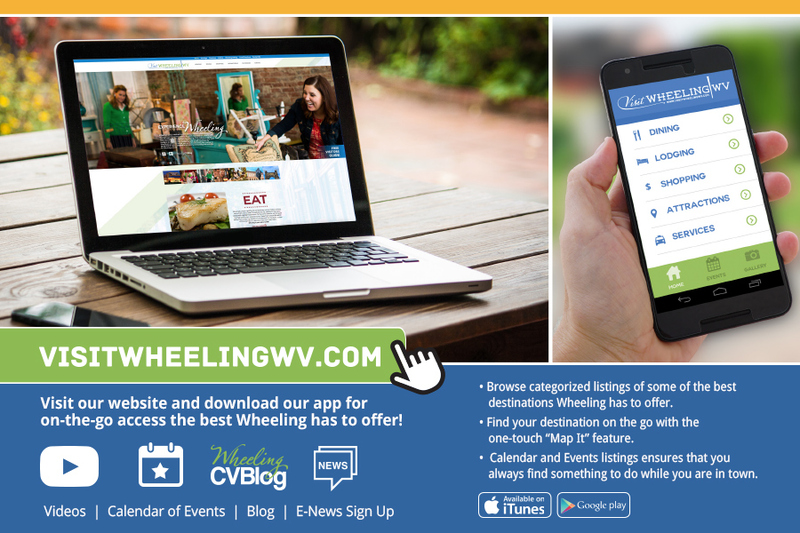 Elder Beerman closed the downtown Wheeling store, and the Regional Economic Development Group purchased it in 2004 with the intent of renovating it into an office building, and that dream has been realized. Along with the loft apartment units on the top floors, Williams Lea and Tag, an international branding and marketing firm, occupy the majority of the space, and Wheeling Jesuit University’s doctoral physical therapy department is situated in the bottom floor along Market Street. 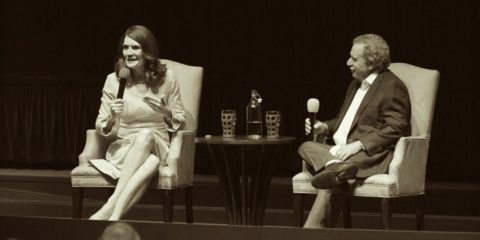 Today, there are more people working inside the Stone Center than ever in the structure’s history. 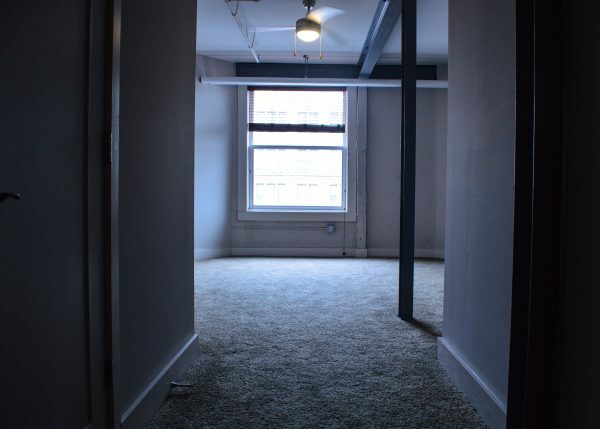 The atmosphere is business-like, the units unique, and, unlike the Boury Lofts, many of the units in the Stone Center include stairs to a bedroom. 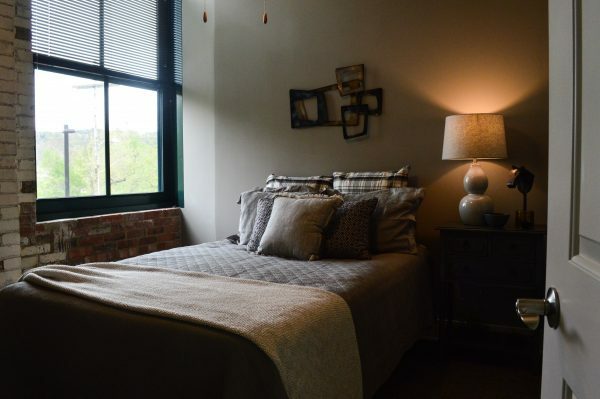 This bedroom faces Main Street in downtown Wheeling. 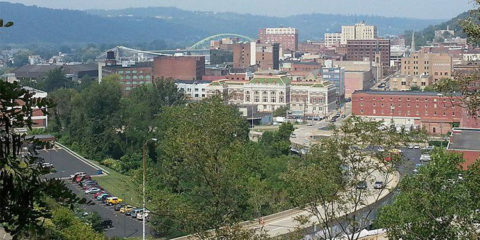 The units along Main Street offer a view of the Ohio River. 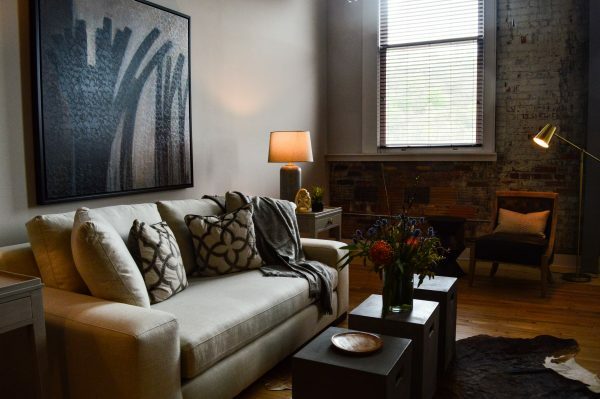 The Woda Group furnished this living room so visitors would have an idea of what loft living could be like. While the department store was in operation the building infrastructure was hidden away, but that’s not the case today inside the loft apartments. 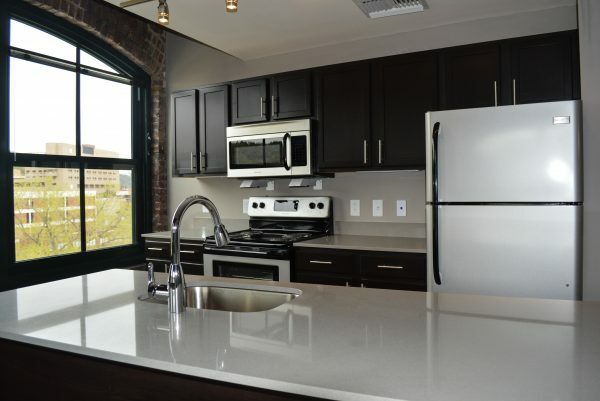 The kitchens inside the Stone Center Lofts offer plenty of counter space and stainless steel appliances. The loft bedrooms are open with a view of the living room area. For sale, or rent/lease and any ideas on costs? Beautiful! I am so glad to see this. I have memories of both buildings especially Stone’s. Are there apts. available for weekly rental and what is the cost? I would be interested on knowing this too.